The fight between who we are vs. who we want to be is still very much alive. 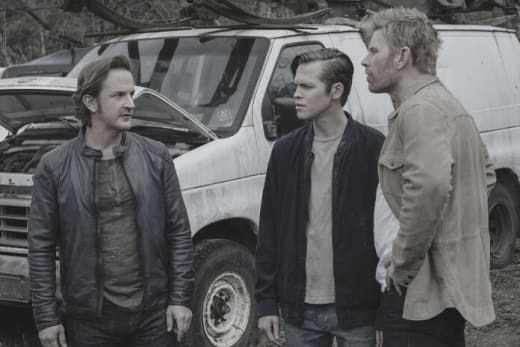 Even though many of us were starting to get tired of this new Lucifer on Supernatural Season 13 Episode 22, this new Lucifer made a lot of great points about the guys needing him. 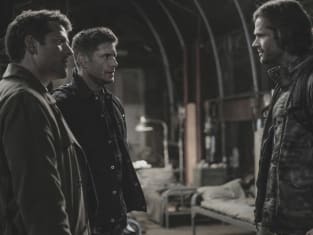 Sam, Dean, and Castiel had this plan to go into the other world to get Mary and Jack, but how were they going to beat Michael if he showed up? We are supposed to believe Michael is this all-powerful angel who, from the looks of it, only Jack would have been able to beat. I know many us have wanted to move on from the Lucifer storyline, but there was no other way around it. I was confused by Dean just straight up demanding Gabriel kill Lucifer – did he really think he was just going to do it? As much as Dean hates Lucifer, there was no way Jack would have let the death happen. While Jack knows his father is evil he still never got a chance to get to know him. Jack had already lost his mother Kelly, but at least he had a chance to meet his father. Is Lucifer the ideal father to have? Of course not, but at let the kid meet his one surviving parent before deciding to drive a silver stake through said father's heart. It was great seeing Jack just disappearing when all the tension started to build. We all have to remember he is still young, and still learning, so he had every right to be confused about what was going on. I enjoyed the way they showed Jack struggling with who he is because he is still trying to figure out how to balance his emotions. 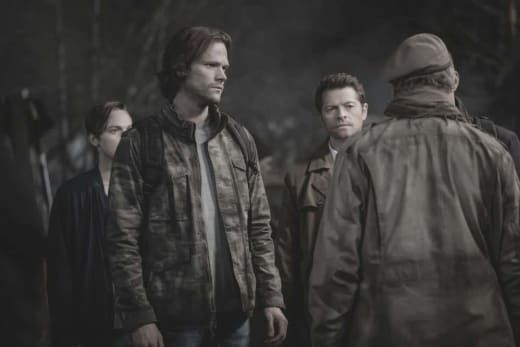 At least Castiel didn't prevent Jack from talking with Lucifer, but this had to have been one of the most awkward talks between father and son. I admit to laughing a bit when Lucifer started talking about humans, but Jack mentioning Kelly being human-made Lucifer immediately say she was wonderful – way to save face. Jack: I'm not gonna talk. I'm gonna listen. Lucifer made some valid arguments about humans being their own worst enemy. Lucifer has gotten blamed for a lot of evil in the world, but he wasn't wrong in saying he had been sitting in a cage for a rather long time; though going through the family tree was incredibly entertaining. I can't believe I am saying this, but I agreed with Mary when she was talking about Dean needing to take a step back to let Jack make his own decision about Lucifer. I know the guys see Jack as their family, but Jack was going to continue to push back if the guys kept trying to keep him from talking to his father. Did anyone else get a little annoyed when Mary said she wasn't going back? While I understood why she was wanting to stay behind I still found myself yelling at the screen about all the things Sam and Dean have gone through to save her and Jack. She may claim to know everything they went through, but she doesn't. On the other hand, it made sense why Mary wanted to stay behind. Mary has been beside these people for so long and been helping them fight; it's not like she could just walk away without feeling some type of guilt. I know we all have a lot of opinions when it comes to Mary, but we can't deny she is a fighter. Was anyone else disappointed we didn't get to see more evil Castiel? 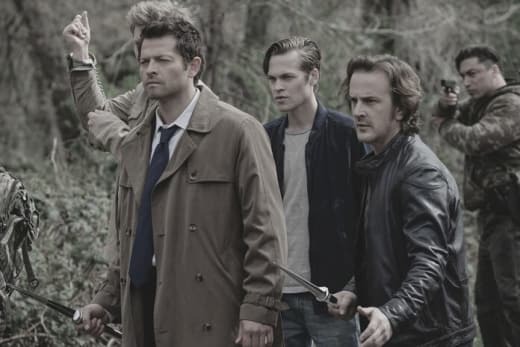 I feel like we were ripped off from seeing how this version of Castiel became so evil; though I am more curious about the very thick accent evil Castiel had. We all know Michael was going to show up when it was just Lucifer, Gabriel, Sam, and Dean left, right? There was no way the entire group was going to be able to just waltz through the portal without something terrible happening. It was pretty impressive seeing Gabriel finally stepping up against Michael; though it broke my heart when he got killed. This was the episode I have been waiting for all season. It was not only well constructed, but it gave equal amounts of screen time to various characters. My only complaint was leaving Lucifer in the other world – did they think he didn't have a plan in motion? For the first time, I am looking forward to the next episode. Do you think Lucifer can change for his son? What did you like about the episode? 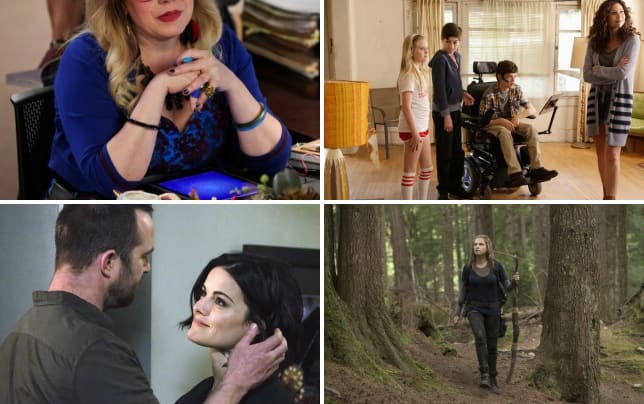 What are your hopes for the season finale? Make sure to catch up on the entire season before the finale next week. Go watch Supernatural online now via TV Fanatic. Castiel: How did you get in here? Lucifer: VIP pass. I'm with the band. Permalink: VIP pass. I'm with the band. 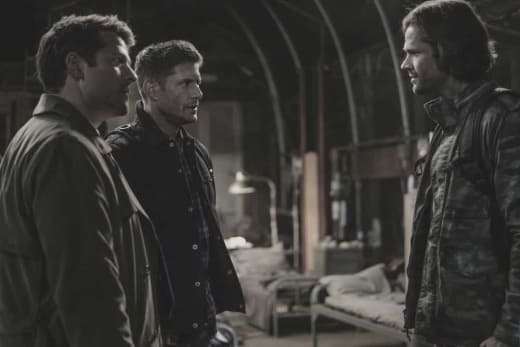 Sam: He uh...he brought me back. Lucifer: It's what I do. Permalink: It's what I do.